A blog is an online diary or journal, published on a website by the writer in a written form. These blogs can be informative or carry personal views of the blogger regarding any technical, emotional or any other relevant subject matter. These online journals provide a great opportunity for young, emerging and amateur writers to express their views and showcase their talent on these special blogging platforms. The best thing about blogging is that you can earn money while following your passion. Merging of passion along with business can be one of the best things for you. You can make a whole career out of blogging, or make it your side business for pleasure. There are different means and ways of blogging. Making some videos for your followers and posting them on YouTube makes you a YouTube blogger. Making videos may include making makeup tutorials, creating a teaching blog for students, making humorous videos and any other area which you specialize in. Improved writing skills: What starts out as an innocent writing experience for you can actually turn out to be the most powerful one. Blogging helps in conversion of an amateur writer into an influential writer who can make a difference. As you keep on giving regular entries, it improves you and your skill as a writer. And self -improvement is the essential key if you want to become a good and successful writer. Immediate feedback: Facebook is such a ground where you get an immediate reaction for anything and everything you post. Feedback starts out initially with friends and family, and gradually grows with other people as you keep on gaining popularity. Positive feedback acts as a trigger which encourages you to write more and more. Negative feedback can be disappointing, but if you take it in a constructive manner, you can think about it as a pathway towards perfection. It also helps you to know what your audience is expecting from you as a blogger. Creates a brand image: Your personal blog gives you an amazing opportunity to express yourself. You can actually write your views about things. Not everyone will understand and agree with your point of view, but you have to know that you cannot please and convince everyone. You need to write about your views and be confident about it as it tells us a lot about who you are. Once you get comfortable with your writing your heart out, people will start recognizing you. People will acknowledge your views, and it will slowly build a brand image for you. Your image is clearly depicted through the number of likes you have on your Facebook blog page. Making a Facebook blog is not that difficult. 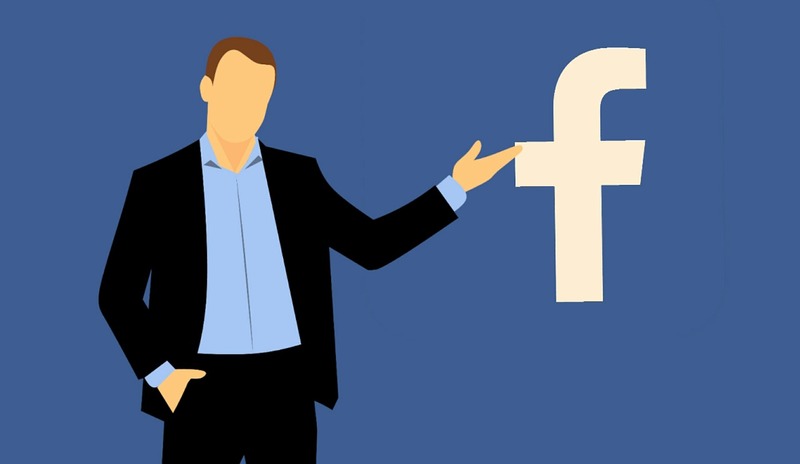 It is a simple process where you need to follow instructions to create a Facebook page, fill in the information about the type of page you are creating and the purpose of creating this page, and then get started with the page. Facebook team is very supportive of the blogs and media pages. They have various tools to promote your page, which you can pay for. You can visit https://www.experthelp.com/facebook-help if you have any problems or questions regarding the whole process of creating and promoting Facebook blogs or Facebook page. Boost your post: Whenever you post anything on your Facebook page, you either have the option of trusting your talent to reach naturally to people. But how will people know your talent if they do not even know that your post exists? Boosting post will help you to reach a large number of people. It involves some investment but it is affordable compared to other means of advertising. You can start with a low budget and then increase your budget according to the increase in number of followers. Appealing headlines: Any article is judged by its first impression, which is the headline of the article. A perfect headline is the one which is catchy and arouses a sense of curiosity in the minds of readers. It is only the curiosity of the user which will push him to open the article and go through it. However meaningful your content may be, but if the headline is not effective, it loses the whole charm of the article. With so many articles on their news feed, it is only due to the creativity of the title that a person will be willing to devote some time to your article. Do not stick to a single topic: A person tends to write more freely and confidently when writing about the things he/she love. Their favorite topics take them to a certain zone where they feel comfortable to experiment and try new aspects of writing. But it is not always right to follow the same path every time. You need to step out of your comfort zone in order to improve yourself as a writer. Versatility is a sign of a talented writer. It gives the reader immense pleasure to read about your views on different aspects of life. It also helps to generate audiences of different interests who can all come over to one blogger to read things of their interest. Appreciate the talent of other bloggers: A creative line is something which brings together the whole circle that admires and appreciates any kind of talent. For them, no talent is big or small. They appreciate the small things because they know how much little detailing matters in the artistic world. So instead of criticizing each other; create good relations with your fellow bloggers. You can pair up with other bloggers and create some events and competitions which will attract more viewers. This act will benefit everyone involved. Talk on the latest issues and trends: Anything that is new in market trends on the social media first. Customers are getting smart with time, and they do not buy any product or trust any company without checking their reviews. They deserve the help of their favorite bloggers to give them the finest review of latest things. Other than the market products, you should also talk about issues related to our society and its welfare. Your reviews or opinions about what is happening in the politics, or in the society in general or about the education system, matters to them. As a blogger, it is your duty to be aware of all the latest trends and issues prevailing in our society. A good writer has the ability to transform the minds of people, and an open and transformed mind will definitely bring a good change in our society.